Dr. Umar Johnson wants to create the Frederick Douglass Marcus Garvey Academy (FDMG) and enroll about a 1,000 African-American boys into the school from all across the country. 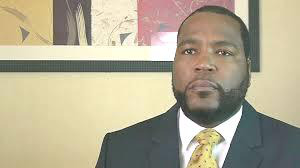 Dr. Umar Johnson, a controversial Black activist and orator, is launching an ambitious campaign to raise enough money to purchase St. Paul’s College in Virginia and convert it into a residential boarding school for African-American boys. The Board of Trustees at St. Paul’s has given Johnson until Aug. 21 to raise the $5 million needed to acquire the historically Black college and refurbish its 35 campus buildings after the school was forced to close its doors last year amid declining enrollment and debt. The sprawling campus founded in 1888 in rural Lawrenceville is surrounded by a historic African-American community. But after the Southern Association of Colleges and Schools stripped the school of its accreditation in 2012, it never recovered. Now, Johnson wants to create the Frederick Douglass Marcus Garvey Academy (FDMG) and enroll about a 1,000 African-American boys into the school from all across the country. If Johnson is successful in raising the funds, the self-professed Black nationalist says that, in addition to the traditional subjects taught in most schools, the curriculum will also focus on training students for “self-employment and entrepreneurship” so that they can generate income without going to college. For those who want to go on and earn a degree, he says that the faculty at FDMG will steer students exclusively toward HBCUs. “A man’s bread and butter is only guaranteed when he can work for them,” says Johnson, who added that the school’s curriculum will also focus on agricultural, dietary, economics and political science along with ongoing instruction in “African-centered” spirituality. Trades such as cosmetology, plumbing, auto, carpentry and masonry will be offered too. It’s unclear how much money Johnson has raised, though he says donations have steadily been pouring in through an online fundraising drive. Though St. Paul’s has received other bids, the fact that the Board of Trustees has given Johnson time to allow him to raise the funds suggest that they want the college to remain in Black hands. Walter Hudson Sr., a community activist and member of the school board in Penns Grove, N.J., says that he supports Johnson’s efforts and says that it’s an ideal alternative. Dr. Millard “Pete” Stith Jr., the college president, had hoped to find another college or university to take over the campus as an educational institution. But his efforts have proved unsuccessful. Several calls to his office asking to comment on Johnson’s fundraising drive and his desire to purchase the property went unreturned. Johnson says that, if he is not successful in raising the funds to purchase St. Paul’s, he will identify another property and set up shop there. Still, he knows that his pro-Black stance and his opposition to a wide range of issues like gay marriage will likely cause some not to donate to his cause. Jamal Watson can be reached at jwatson1@diverseeducation.com You can follow him on twitter @jamalericwatson.